If you forgot to make Mother's Day plans this year, don't fret. 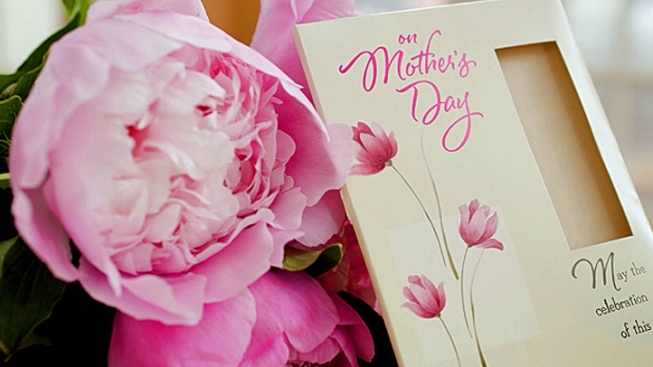 It's not too late to plan a memorable day for the mom in your life. Families are invited to celebrate Mother's Day at the Exploratorium in San Francisco for free on Sunday. Spend the morning making crafty flowers, or immerse yourself in some of the interactive activities the museum offers. The area is packed with brunch places nearby, too. Visit the Exploratorium's website for more details. Free tickets are first come, first served. Mom and her cubs might enjoy a docent-led cycling tour through the San Francisco Zoo. You have to bring your own bike, and pre-registration is required. But there's a free continental breakfast at the end of the tour, so there's no need to make additional lunch plans. Visit the San Francisco Zoo website for more details. Tickets are $35 for non-members. The 46th annual Mother's Day Weekend Powow will bring Native American music, dancing and cuisine to the prestigious university's scenic campus. The event runs Friday through Sunday, and families are invited to camp overnight. The event is free, but donations are accepted. Check the Powwow's website for more information. The community farm in Richmond on Saturday will host its inaugural Annual Festival of Flowers, complete with live music, a brunch buffet and a raffle. Prizes include tickets to the Oakland symphony, a professional manicure and pedicure, and gift baskets. Families will also have the opportunity to make unique flower arrangements, flower crowns and Mother's Day cards. The best part? The event is completely free! Check out the website for more information. If you and mom are looking for something more low-key, consider one of the many Paint-and-Sip classes that have popped up in recent years. There are dozens of shops scattered around the Bay Area that offer attendees the chance to sip wine, listen to relaxing music and get a painting lesson straight from the professionals! Check out the Canvas and Cabernet website to see what the classes entail and find price information. Visit one of the Bay Area's many beaches, or scour parts of your neighborhood that you've never been to before — maybe start a new tradition. Ultimately, you can't go wrong on Mother's Day so long as you and mom have quality time together. Is there an event missing from this list? Email Gillian.Edevane@nbcuni.com with details for possible inclusion.